Home › Uncategorized › What Kind of Saw Blade Should I use to Cut My Bamboo Flooring? You’ve chosen the perfect bamboo for your flooring, but now it’s time to start cutting. How do you choose the perfect saw for your bamboo flooring? You’ll want to keep your costs in check while getting a clean, straight cut every time. While certain types of bamboo flooring work perfectly with a standard wood saw blade designed for hardwoods, others require something better. A clean, straight cut makes your flooring look professional and flawless. 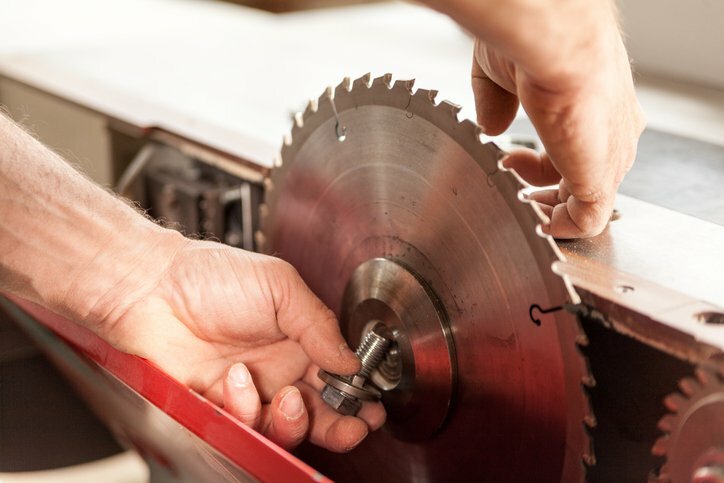 Use this guide to choose the best saw blade for your project. 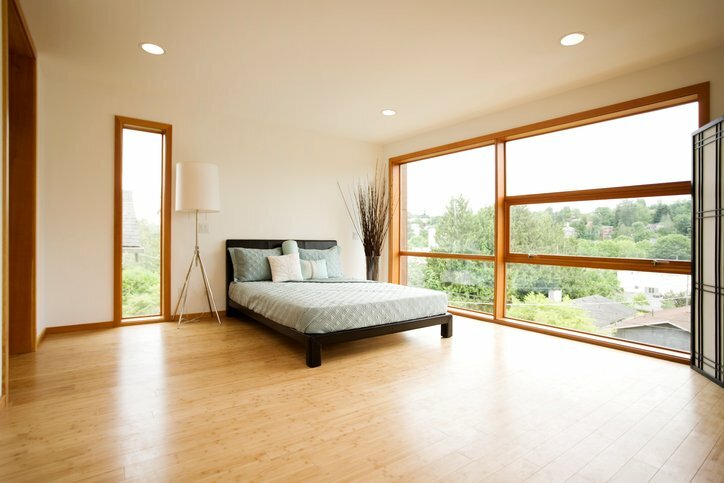 For the traditional, classic look of bamboo flooring, there’s nothing better than horizontal bamboo. This popular, eco-friendly option has visible bamboo nodes and works well in almost any space except for basements and bathrooms. The horizontal grain looks stunning in modern spaces. In contrast, the striking pattern of classic vertical bamboo makes it a great choice for many interiors. Architects love the sleek, modern grain and versatility of this type of bamboo. Given that horizontal and vertical bamboo are much softer than strand woven bamboo, standard saw blades used for common hardwoods will work great. How does horizontal or vertical bamboo density compare to other hardwoods? Both horizontal and vertical bamboo have similar density to traditional hardwoods like oak. 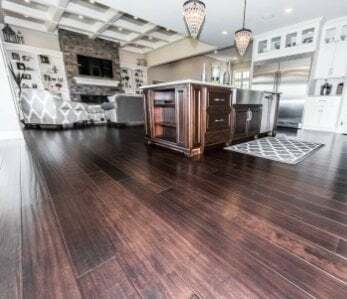 With a Janka Hardness rating of up to 2352, horizontal or vertical bamboo works well as an attractive, sustainable option that stands the test of time, just like traditional hardwood flooring. How do manufacturers construct horizontal and vertical bamboo flooring? Long, rectangular strips of bamboo are carefully bonded together for in a distinctive pattern. The main difference between horizontal and vertical bamboo lies in the grain. Horizontal bamboo features a wider grain with clear bamboo nodes. Construction methods for vertical create a striking yet natural look comprised of thinner lines. We age most our raw materials for 5-7 years to improve strength and durability. What kind of saw blade should I use for horizontal or vertical bamboo? Because horizontal and vertical bamboo floorings have similar density as traditional hardwoods, a standard wood blade works well. A carbide saw blade creates a clean, perfect cut. Look for a 40-tooth or greater standard wood saw blade. We recommend Diablo products for a picture-perfect finish. Cutting horizontal or vertical bamboo flooring is quite similar to cutting other hardwoods, but strand bamboo is very different. There’s nothing better than strand bamboo for high-traffic areas or families with children and pets. 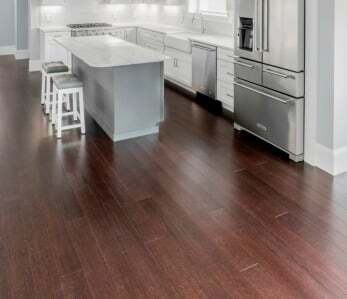 The dense, ultra-durable bamboo delivers the beautiful look of hardwood flooring while standing up to the stresses of high heels, pet traffic, and other heavy wear and tear. How does strand bamboo density compare to other hardwoods? Strand bamboo is the densest hardwood on the market. It’s almost three times the strength of an oak floor, with a Janka Hardness Ratings average above 4,000! This tough mother can really take a beating, and its beautiful look has universal appeal. How is strand bamboo constructed? 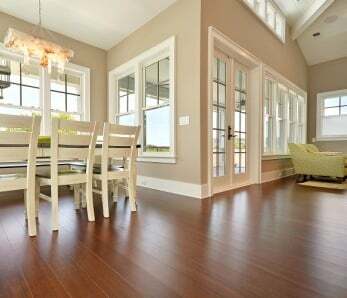 The construction process for strand bamboo flooring is markedly different from other bamboo floors. Long, thick culms of bamboo are broken down into individual strands. and are then woven together for maximum strength, then compressed under extreme heat and pressure. The process creates a beautiful hardwood look. In addition, this construction method creates an extremely stable floor that withstands heavy wear and tear. 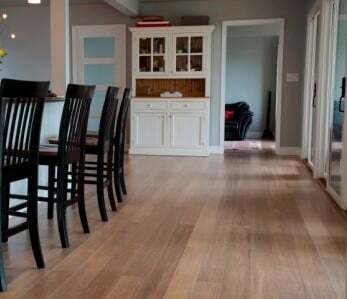 The tough flooring of strand bamboo is the perfect choice for pet owners, families with small children, and others who want the look of hardwood without the difficult maintenance. What type of saw should I use for strand bamboo? As you might expect based on its high density and unique construction, strand bamboo requires a better saw blade than other flooring. Achieve a perfect cut on this extremely strong floor with an 80-tooth, carbide blade. We consistently get incredible results with Diablo brand blades. A standard hardwood saw doesn’t create the clean, straight cut necessary for a beautiful finish on strand bamboo. Upgrade to a better saw to get the job done perfectly. Choosing the right saw blade makes a huge difference in the cut and look of your flooring. Learn more about choosing the saw blade that’s right for your project, so every cut looks clean and professional. What’s the difference between a 40-tooth saw and an 80-tooth blade? Circular table saws are the best choice for cutting your flooring, but manufacturers create each blade with 14-120 teeth. The proper number of teeth depends on your application. Blades with a lower tooth count typically cut faster, but the quality of the cut is rougher. For horizontal and vertical bamboo floors, you’ll get a clean cut with a 40-tooth or higher saw blade. However, this blade creates a rough cut on strand bamboo. For this application, you’ll need at least an 80-tooth saw blade for a clean cut. Why should I use a carbide blade? We recommend these blades because they are long-lasting, and they often create a cleaner/smoother cut. You’ll pay a little more upfront, but it’s easy for professionals to sharpen and even repair any warp on the blade. You’ll get better cuts throughout your project, which is extremely important for flooring work. If you’re investing in high-quality bamboo flooring, it’s essential to get clean, straight cuts for a professional look. For horizontal and vertical bamboo flooring, a standard saw blade works fine. However, the unique construction and extreme strength and density of strand bamboo require a better saw blade. Whatever bamboo flooring you choose, we’re ready to help you get incredible results for a floor that meets your needs and lasts for many years. 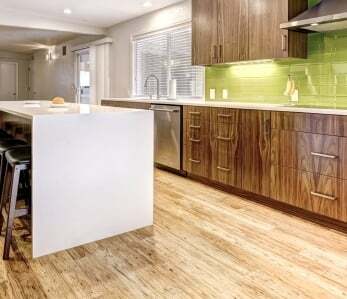 ‹ Can Bamboo Plywood Be Used For an Exterior Home Improvement Project?